Badwell Ash Holiday Lodges are set in approximately 4.5 acres of woodland, gardens and lakes. The 3 lakes, originally sand and gravel quarries which were later flooded by natural springs, were excavated and the site (as it is today) opened in August 2006. However, the lakes appear considerably older, having been planted abundantly with reeds, wild flowers, shrubs and trees which have thrived. Our lakes are spring-fed and apart from necessary routine maintenance, we deliberately leave the lakes largely as nature intends, with minimal human intervention. The bank sides are maintained such that they balance the needs of humans and wildlife! We aim to keep them tidy and well-maintained, but not manicured, allowing the reeds, grasses and plants to thrive and the wildlife to nest and burrow, whilst at the same time ensuring there are numerous clear spots for fishing and good views across the water. 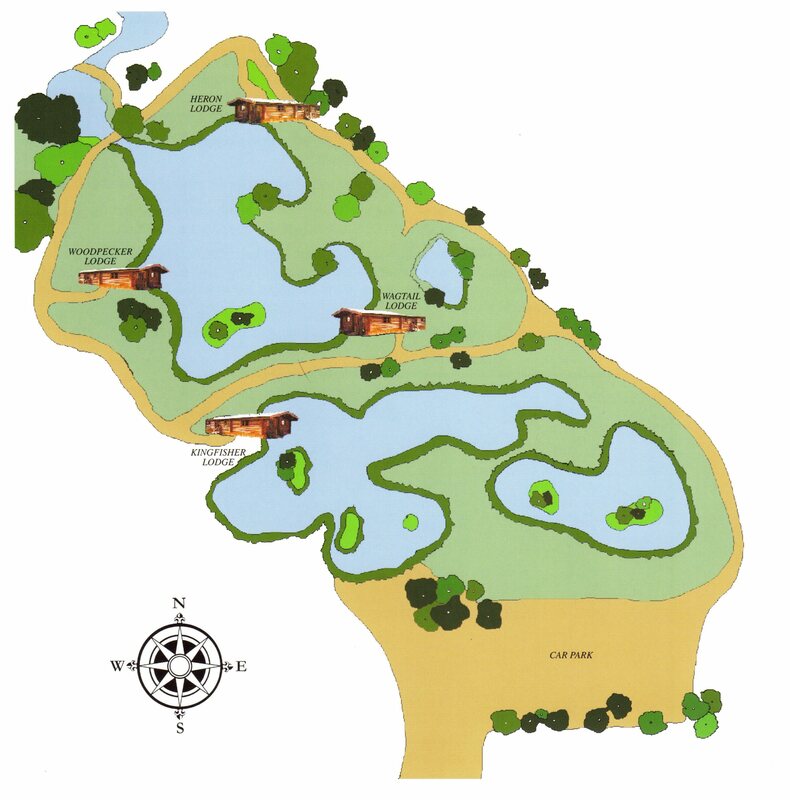 We have 3 lakes; Main Lake (the largest at approximately 0.5 acre and up to 20 feet deep in places), Kingfisher Lake (up to 12 feet deep) and Mill Lake (the smallest and ideal for beginners). The lakes were most recently netted in November 2015 and have a healthy stock of Tench, Roach, Rudd, Perch, Bream and Carp, all of which are in prime condition, with the Carp in Main Lake weighing up to approximately 28lbs. As we offer free fishing to our guests only,this means the banks are never over-populated and our guests can truly enjoy the peace and tranquility for which Badwell Ash Holiday Lodges has become known. Guests can fish at their lodge-side so are never too far from the hot tub or a cold beer in the fridge! We offer fishing all year round, day and night, either directly from the bank-side or from the various swims located around the lakes. Our timber fishing lodges offer the ultimate location for a relaxing recreational fishing holiday. 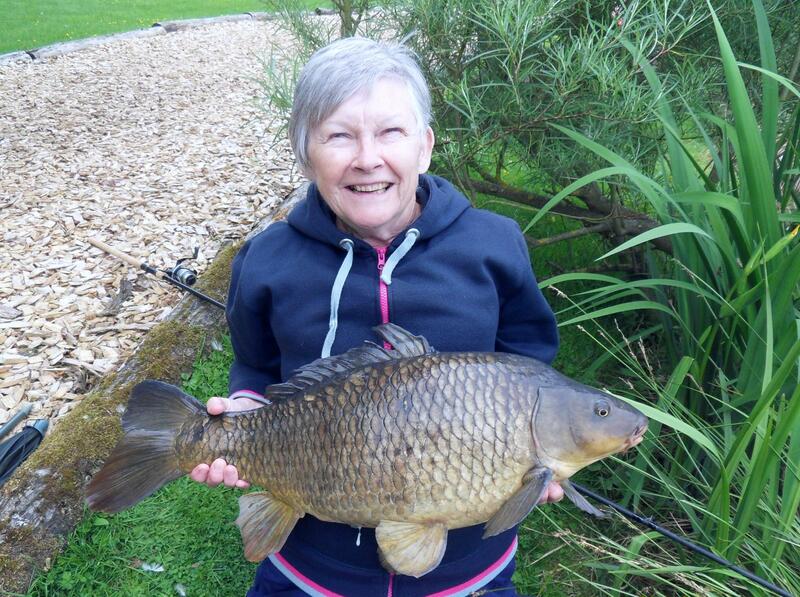 Badwell Ash Holiday Lodges is committed to giving all our guests an enjoyable fishing experience. Our rules exist to safeguard our fish stocks and the surrounding environment, thus ensuring you have an enjoyable stay at Badwell Ash Holiday Lodges. Please read the rules carefully before you fish, as failure to observe the rules, or acting in a way which interferes with other guests’ enjoyment of the grounds and lakes, may result in being banned from using the lake. Please ensure you are in possession of a valid EA Rod License before starting to fish and be ready to produce this when you check-in. If you do not have one, it can be purchased most easily either online from the Post Office or by visiting our local Post Office branch in Badwell Ash village. Spot-checks may occasionally be carried out as, unfortunately, a small minority of guests sometimes ignore our guidelines. Please do not be offended by this – it is done purely to protect our fish stock. Finally, please do send us your catch reports and photographs of any notable catches so we can put these on our website!